Nicholas Ray is one of the most influential yet underrated directors from the Golden Age of Hollywood. His movie career lasted only sixteen years, but he directed over twenty movies, including several undeniable classics, such as 'Johnny Guitar' in 1954 and 'Rebel Without a Cause' in 1955. Many of his films explored the theme of the lonely outsider refusing to accept the conventions of mainstream society. He influenced succeeding generations of directors, particularly in France where the "new wave", including François Truffaut, Jean-Luc Godard, and Jacques Rivette, all paid tribute to him. Godard in particular, famously wrote "cinema is Nicholas Ray." He was born Raymond Nicholas Kienzle on August 7, 1911, in Galesville, Wisconsin. He first attended Waller High School, near Chicago and then La Crosse High School, Wisconsin, where he became interested in and adept at public speaking. Although possessed of an agile brain, he did not prove to be a good student preferring nightlife and alcohol to studies. He took part in some radio broadcasts and won a local radio station oratory competition after which he studied drama at La Crosse State Teachers College for two years. He went on to the University of Chicago but left in 1931, after less than a year, to join the Taliesin Fellowship, a utopian educational institution established by the architect Frank Lloyd Wright. This proved a formative period in his life and would influence his future attitude to how space and straight lines could be displayed on screen. Ray moved to New York in 1934 and became involved with the Theater of Action, one of many left wing groups which developed across America in the wake of the Great Depression. In a valuable theatrical apprenticeship he acted and worked backstage and made important contacts and met future influences such as Elia Kazan. During this period he met folklorist and writer, Alan Lomax, and accompanied him on one of his field trips through the South, recording folk artists such as Josh White, Leadbelly, and Woody Guthrie. This led to radio work with CBS and to meeting with Orson Welles and actor-producer John Houseman. During the Second World War he worked with Houseman on the wartime propaganda radio show 'Voice of America'. These rich experiences bore fruit in the 1940's and 1950's when Ray's movie career burst into life. After the war Ray followed Houseman to Hollywood and began educating himself in the creation of films. During 1944 he worked as assistant director for his old friend, turned director, Elia Kazan, on 'A Tree Grows in Brooklyn' and closely followed every step of the production. He worked as assistant director on an early TV short, 'Sorry Wrong Number' in 1945 and on a movie, 'Tuesday in November' in 1946. John Houseman used his considerable authority and influence as a producer to persuade RKO to accept the novice Ray as a full director and Ray was allowed to direct as well as co-write the screenplay for his debut movie, 'They Live By Night' in 1948. The movie, a film noir, was notable for one of the first uses of a helicopter for tracking a moving car. As well casting of the stars, Farley Granger and Cathy O'Donnell, Ray used a number of friends from his time in the New York theater in minor roles. Whilst contracted to RKO, Ray was protected from the full force of the HUAC anti-communist investigations, despite his left wing views and previous association with the Communist Party, but he was obliged to make movies which catered to Howard Hughes's choices, not his own. 'Born to Be Bad' in 1950 and the gung-ho John Wayne war movie 'Flying Leathernecks' the following year, were not typical of Ray's later work. 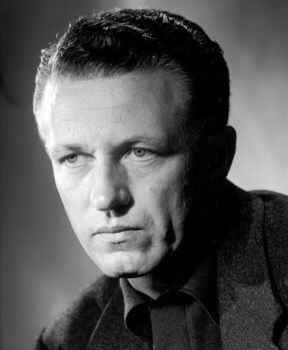 He also did uncredited work on films such as 'Roseanna McCoy' in 1949, 'The Racket' in 1951 and 'Macao' in 1953. The most important and critically acclaimed movies of Ray's career were made during the 1950's. The haunting noir, 'In a Lonely Place' in 1950 featured one of the finest performances of Humphrey Bogart's career, followed by another excellent film noir, 'On Dangerous Ground' in 1951. Ray then made two Westerns, 'The Lusty Men' in 1952 and the wonderfully eccentric 'Johnny Guitar' in 1954 which was Ray's first movie on leaving RKO. It is completely unique and centers round the battle for supremacy between two women, played by Joan Crawford and Mercedes McCambridge. His next film, 'Rebel Without a Cause' in 1955 became his best known work and biggest box office success, and established his reputation as a top class, innovative filmmaker. The movie also cemented James Dean's reputation forever as a symbol of angst-ridden teenage rebellion and enabled child stars Natalie Wood and Sal Mineo to establish themselves as mainstream actors. Ray's period of success continued with 'Bigger Than Life' in 1956, starring James Mason, and dealing with drug problems in middle-class life, and 'Bitter Victory' the following year, a war story set in the African desert. Also in 1957 Ray directed 'The True Story of Jesse James' starring Robert Wagner as a replacement for the originally intended James Dean. Ray's career had already peaked and his personal struggles against drug and alcohol addiction began to affect his output. His next films 'Party Girl' in 1958 and 'The Savage Innocents' in 1960 were critical and commercial failures. He also began to experience financial problems and agreed to make two epics in order to hit a big pay day. The first was 'King of Kings' in 1961, the life story of Jesus, which was critically mauled. He then began to direct, in 1963, '55 Days at Peking' starring Charlton Heston, Ava Gardner and David Niven, but halfway through the production, he collapsed on set after a fierce argument with producer, Samuel Bronston. The picture was finished, uncredited, by Andrew Marton and Guy Green and was a commercial failure. It turned out to be Ray's last studio film. The years of heavy drinking and smoking, not to mention the stresses of movie-making, took their toll, and he suffered a heart attack. After recuperating and spending time in Europe he made numerous attempts to direct again but his reputation for drinking and his involvement in the hippy culture of the Sixties told against him. In 1971 he was invited to lecture at the newly established film department at Binghampton University in New York State. He began a two year teaching position at the department and joined a students' commune where they made an experimental film 'We Can't Go Home Again' in which Ray and his students appeared as themselves in fictional roles. Numerous versions of the film were made, the best known one in 1976, but Ray continued working on the film for the rest of his life. Apart from directing, and appearing in, a segment of an experimental softcore film 'Wet Dreams' in 1974, Ray's only other involvement in directing came in 1980 when, with the help of his friend, German director Wim Wenders he completed his final film, about a man dying of cancer. Sadly Nicholas Ray was himself dying of cancer also. Ray was well known for his left wing views. The FBI opened a file on him in the early 1940's, because of his socialist ideas and one of the reasons he left Voice of America in 1944 was because of damning FBI reports about his leftist sympathies. Ray enjoyed socialising and developed a drinking problem which was exacerbated when he also began taking drugs. He had numerous affairs with both men and women. He was married four times, firstly in 1936 to journalist Jean Evans. They had one son and divorced in 1940. In 1948 he married actress Gloria Grahame. After several separations and reconciliations, they divorced in 1952, after Ray had discovered her in bed with Tony, his 13 year old son from his first marriage. Gloria and Tony Ray met up again in 1958 and married in 1960, having one son. Nicholas Ray's third marriage was to dancer Betty Utley in 1958. They had two daughters and divorced in 1964. His last marriage was to Susan Schwab in 1969, the marriage ending with his death. Nicholas Ray died on June 16, 1979, after a two year battle with lung cancer. He was 67 years old.